This is for ONE Brand New Genuine Peugeot 106 rear caliper yoke. This is for the LEFT SIDE ONLY. Fits all 106 rear disc calipers as fitted as standard to 106 GTi. Will also fit Peugeot 206 & 306 with the same caliper. 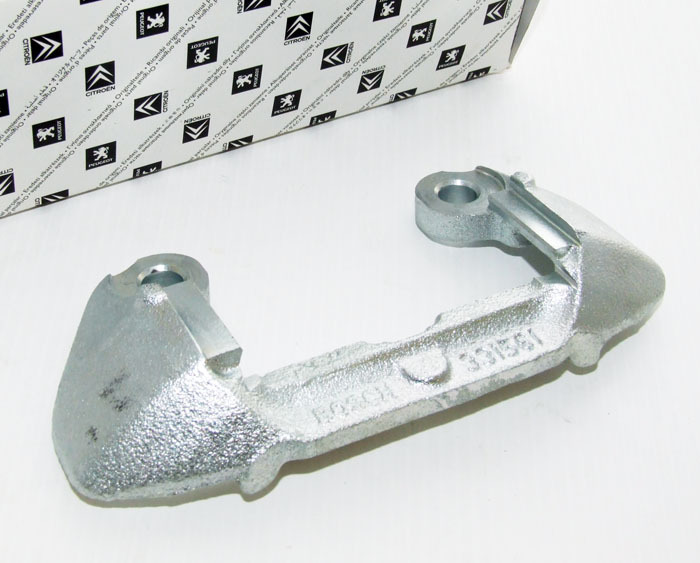 Part Description: This is for ONE Brand New Genuine Peugeot 106 rear caliper yoke. This is for the LEFT SIDE ONLY. Fits all 106 rear disc calipers as fitted as standard to 106 GTi. Will also fit Peugeot 206 & 306 with the same caliper.